Pangaea is a unique and exciting brand that is inspired by the mysteries of the Universe. Pangaea’s garments are print and textile focused, offering customisable limited edition collections along with a core and luxury basics line. The AW/17 debut collection is inspired by outer space, featuring textured prints that are oversized and capture the vastness of space juxtaposed with small, illustrated planets. 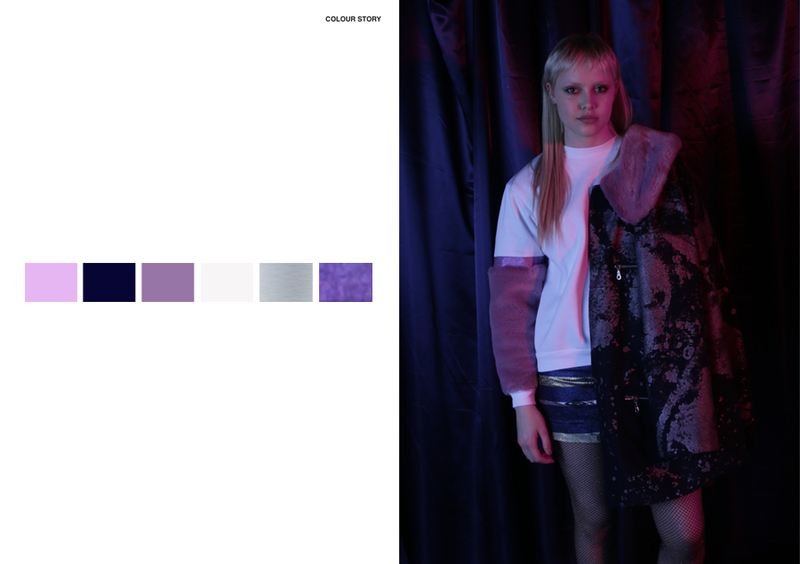 The collection features colourful fabrics, textured faux furs, iridescent detailing and glittery metallic trims that give the garments an otherworldly edge. 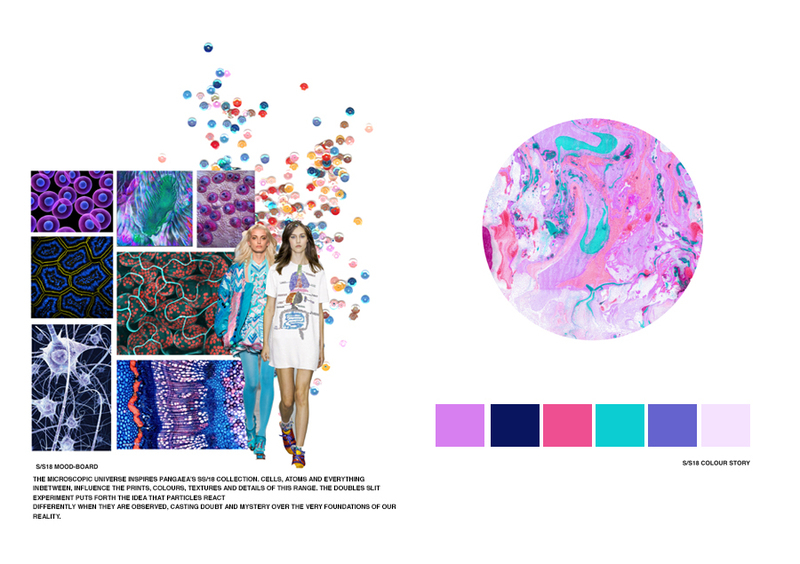 Pangaea is a sustainable brand that strives to veer away from the negative connotations attached to other eco-friendly brands.The microscopic universe inspires Pangaea’s SS/18 preview collection. Cells, atoms and everything in between influence the prints, colours, textures and details of this range. The double slit experiment puts forth the idea that particles react differently when they are observed, casting doubt and mystery over the very foundations of our reality. Pangaea’s target consumers are women aged 18-35, who love beautiful, unique items. The Pangaea customer has a thirst for knowledge and the unknown, with interests in different aspects of reality, creation and the unusual. 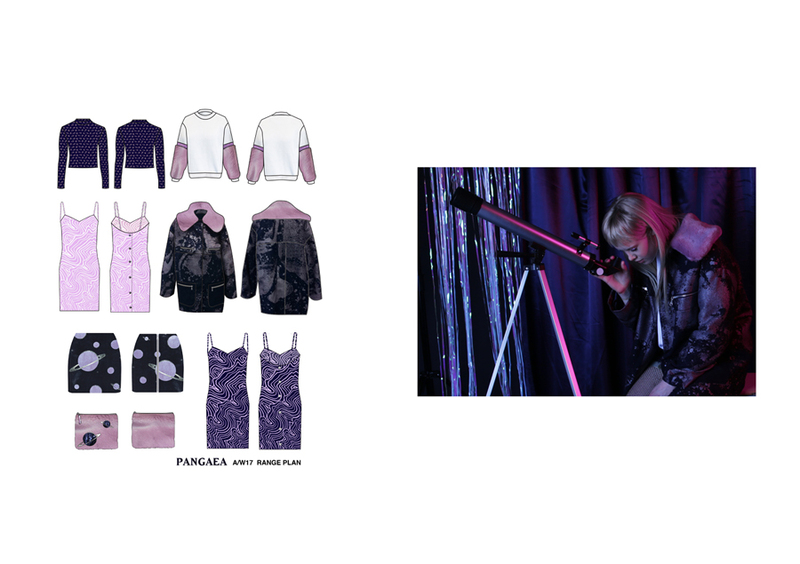 Pangaea aims to work with upcoming artists and creatives, ensuring each collection is just as inspiring, unique and mysterious as the last.